Found one file extension association related to Database Designer for MySQL and 1 file format developed specifically for use with Database Designer for MySQL. 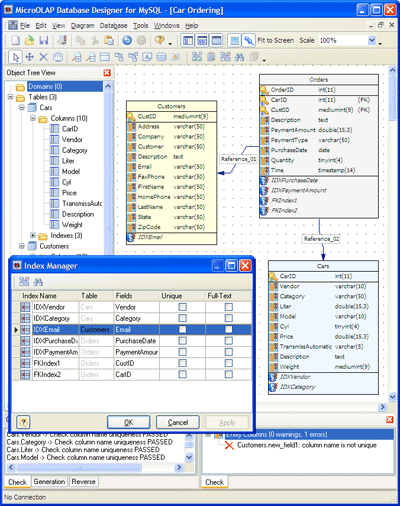 Database Designer for MySQL is a handy tool with intuitive interface that allows you to build a clear and effective database structure visually, see the complete picture (diagram) representing all the tables, references between them, views, stored procedures within your database. Then you can easily generate a physical database on a server, modify it according to any changes you made to the diagram. If you need more information please contact the developers of Database Designer for MySQL (MicroOLAP Technologies LTD.), or check out their product website.